An 11 year old Tennessee girl's discoverd 475 million year old Trilobites fossil near douglas lake. She found an unfamiliar with abnormal markings on the shore of douglas lake.When the scientists analyzed the mysterios rock they said that she has found a 475-million-year-old fossil of an extinct marine arthropod. Taylor told ABC-affiliated WATE that such findings are absolutely cool, "I looked down while I was walking, and I found it. I just saw it." Reports said that the newly found fossil dates back some 475 million years. Some of the earlier researchers found a trilobite fossil in the ancient French caves that was believed to be 15,000 years old while modern humans emerged about 300,000 years ago. 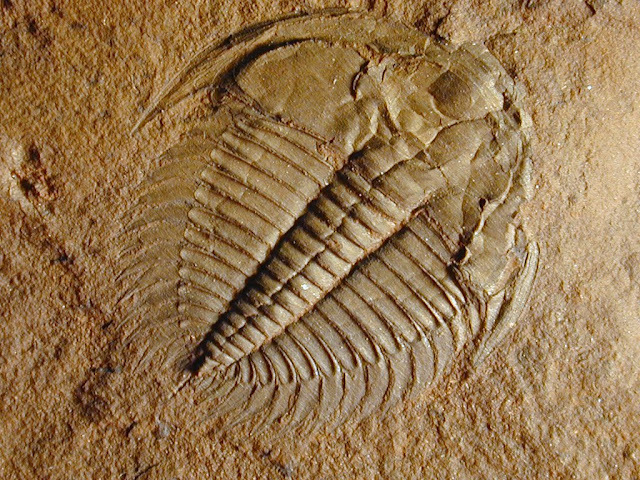 MOST TRILOBITE FOSSILS ARE ACTUALLY MOLTED EXOSKELETONS. NATIVE AMERICANS USED THEM AS AMULETS. TRILOBITES WERE WIPED OUT BY THE BIGGEST EXTINCTION ( Permian Extinction) IN HISTORY.